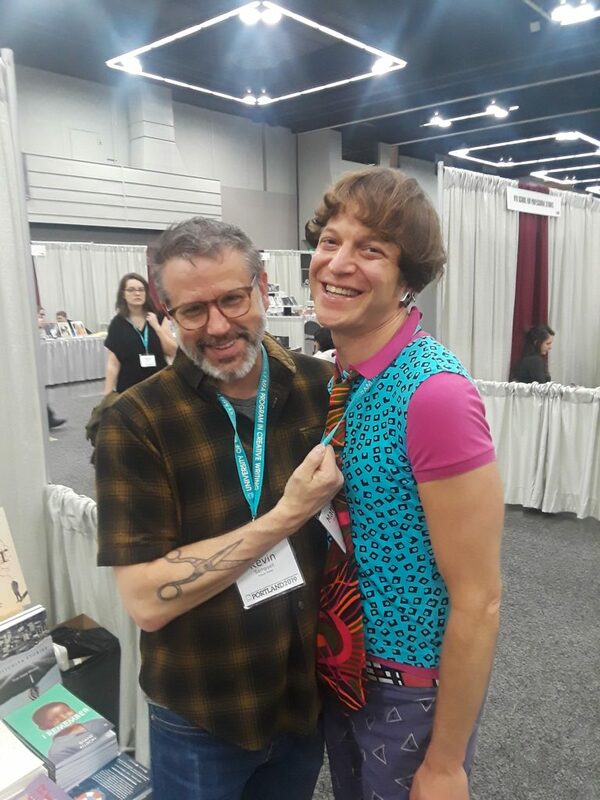 We had a ton of fun at AWP this year, here in our hometown of Portland! Here are some pics of some of our table visitors and events we co-hosted. 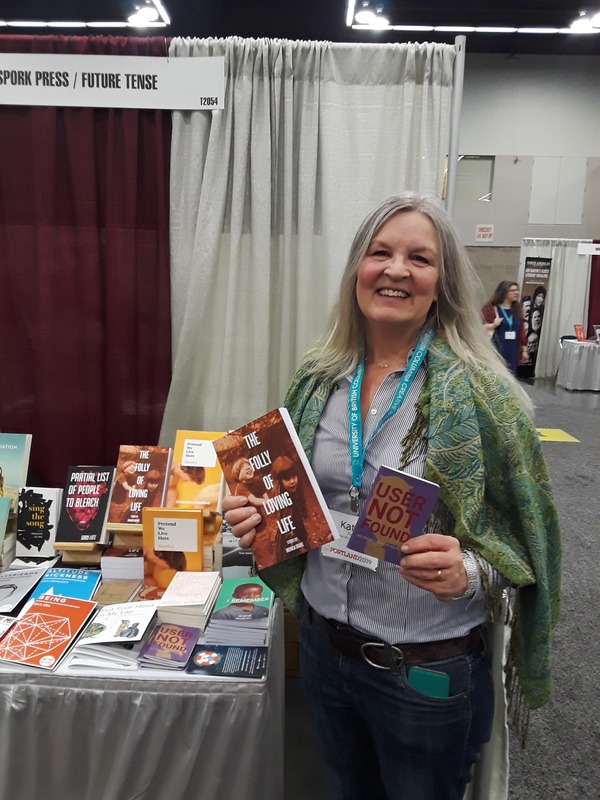 Thanks to everyone who stopped by to say hello and buy books. I tabled with Drew Burk, representing his amazing press, Spork. Here he is waiting for our Lyft on the first morning. 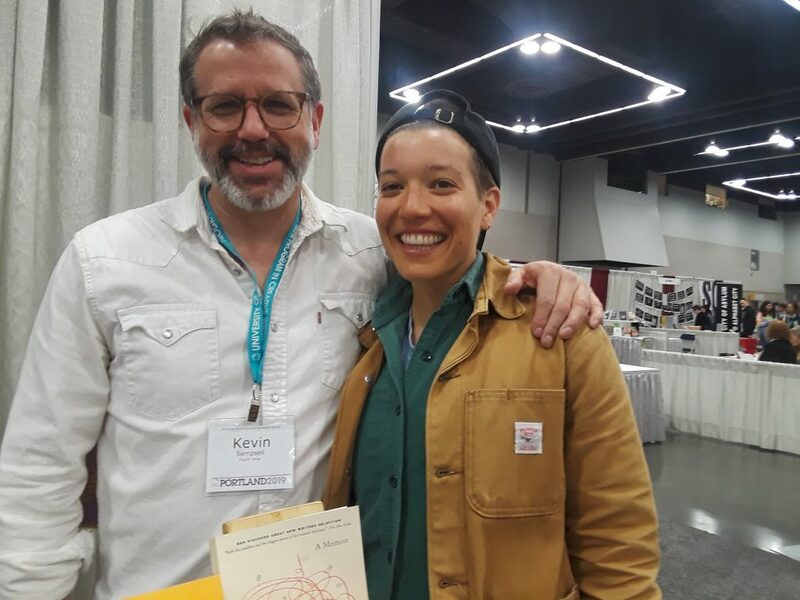 Wendy C. Ortiz’s Excavation was (and always is) a favorite at the table. She walked by right when Emily O’Neill and Ruth Madievsky were buying her book. Great to see other publishers there too. I met Danielle Dutton from The Dorothy Project! 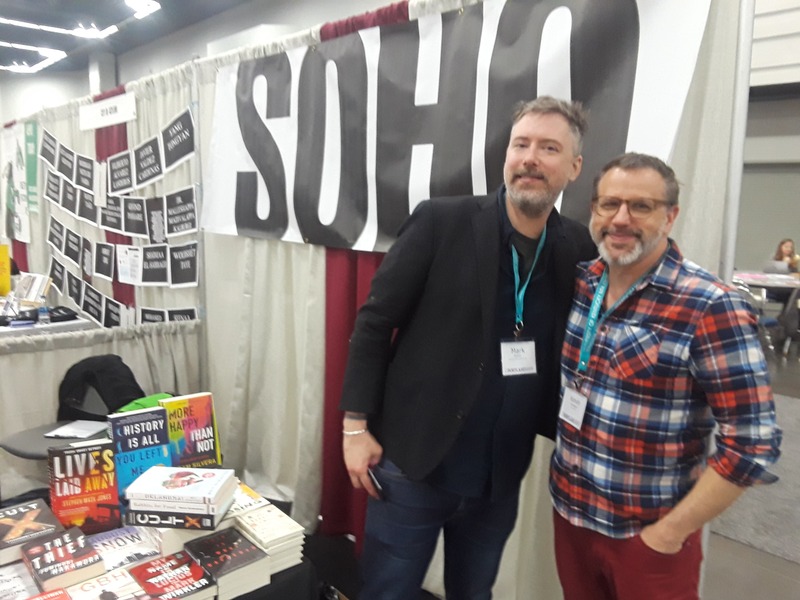 I also got to chat with Mark Doten of Soho Press. 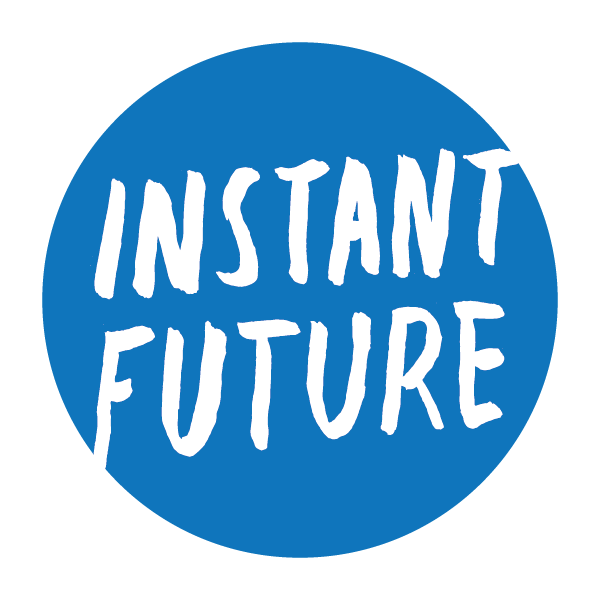 Monica Drake (The Folly of Loving Life) read at the Future Tense + Spork = <3 event on the first night. 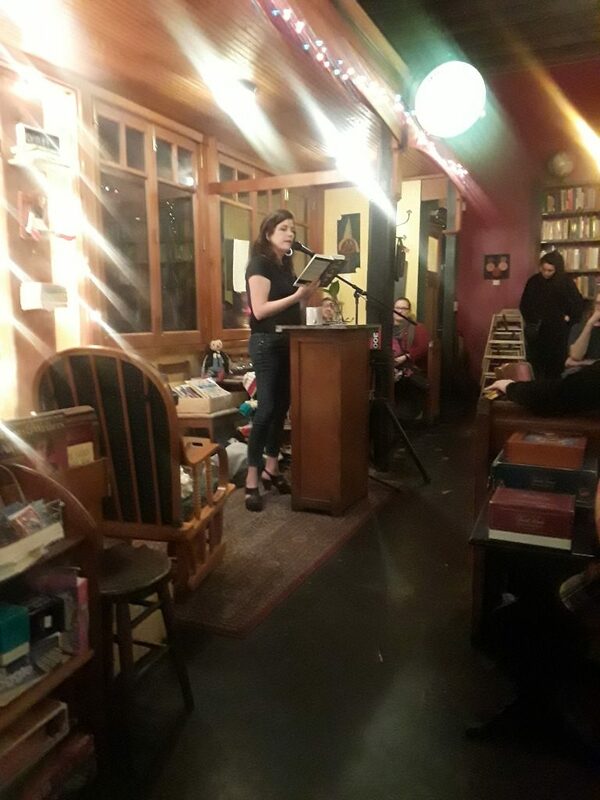 Tatiana Ryckman (I Don’t Think of You [Until I Do])and Felicity Fenton (User Not Found) also read at the Rose City Book Pub, both thrilling the crowd! 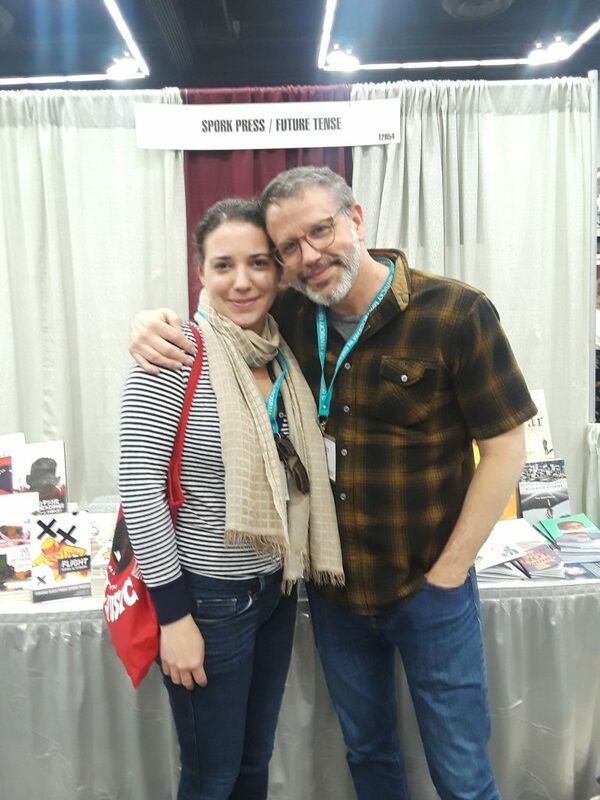 Tara Atkinson (author of Boyfriends) stopped by to say hey. 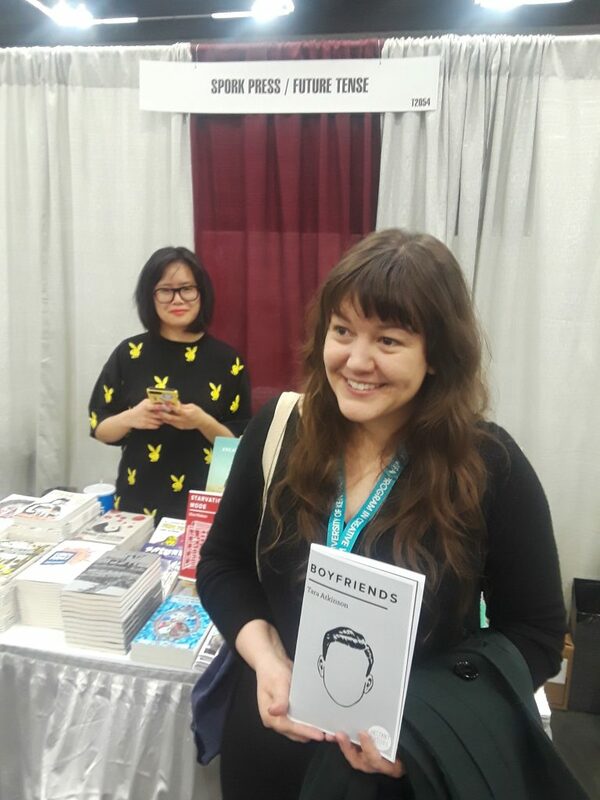 Spork author Dorothy Chan also did some quality table time and it was a joy to meet her. 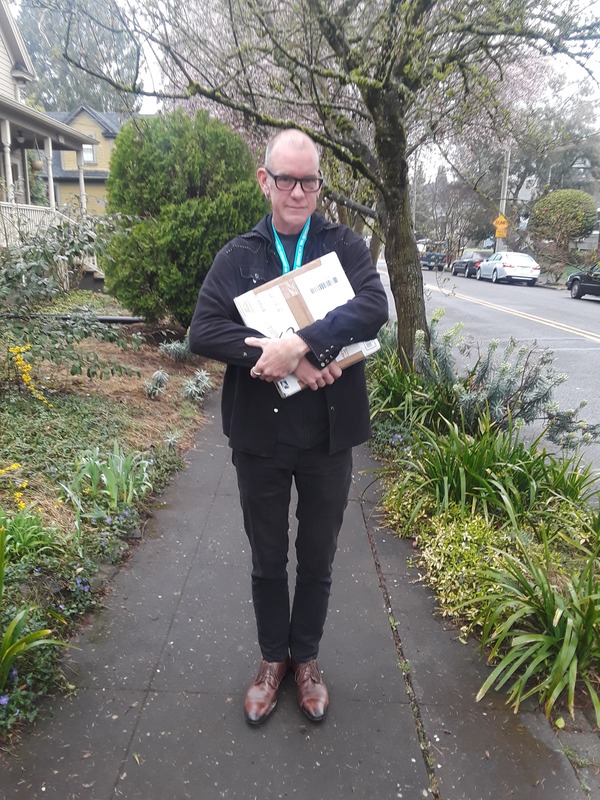 I published Magdalen Powers’s chapbook, The Heart Is Also a Furnace, in 2005. Always love to see her. Kathy Fish came by and we swapped books. 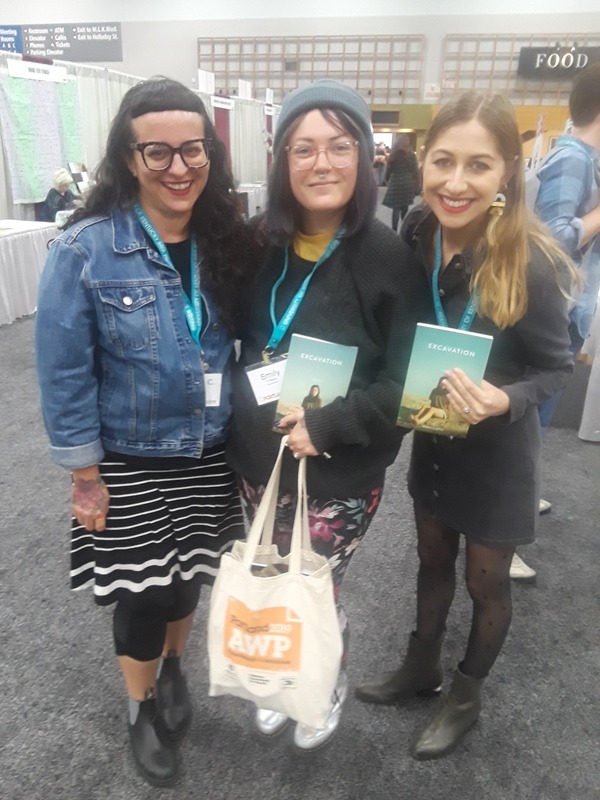 She picked up Monica Drake’s book and Felicity Fenton’s chapbook. 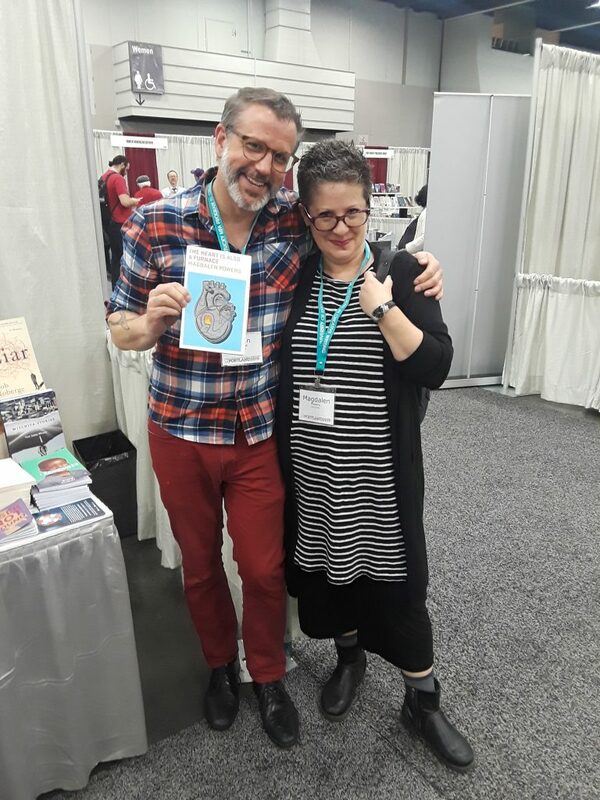 Getting close with Mattilda Bernstein Sycamore, author of Sketchtasy (from Arsenal Pulp, whose team I also met at AWP). With Mary Miller, one of my favorite people and writers. Genevieve Hudson (Pretend We Live Here) is a hero. A lot of people talking about her book at our table. 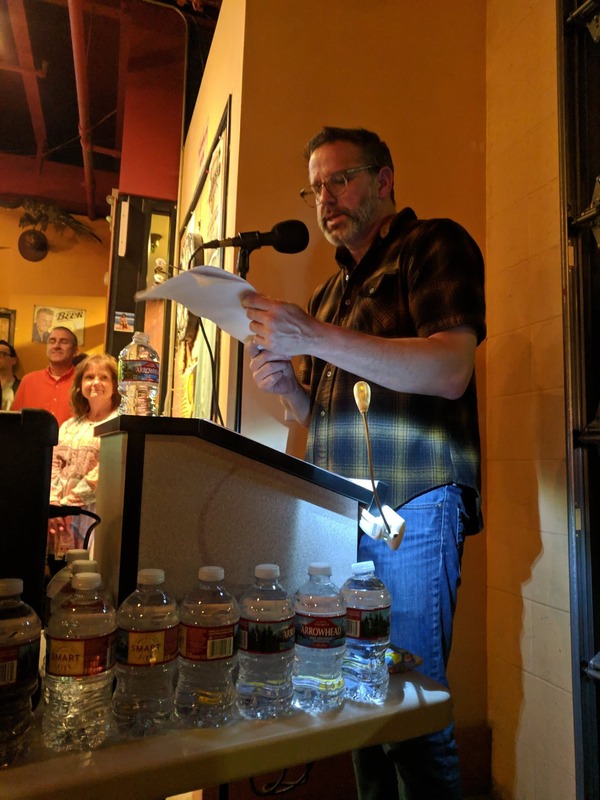 I read an essay about trying to grow a beard at the Friday night reading at Sidecar. Amazing to share a mic with so many other great writers. Meeting Susan Straight afterward was such a pleasure. Look at all that water I was drinking! 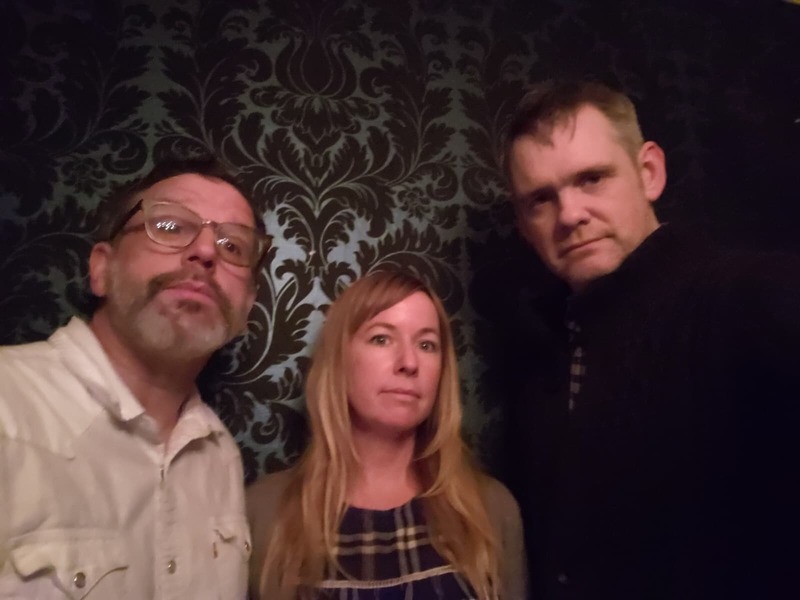 Power trio at the Future Tense/Awst/SEMO Press reading on the last night. 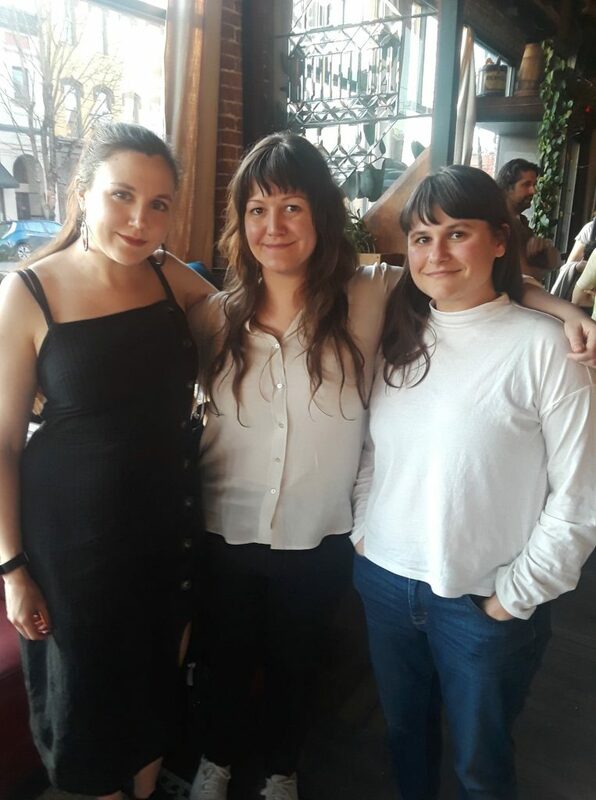 Elissa Washuta (Starvation Mode), Tara Atkinson, and superstar agent Monika Woods. 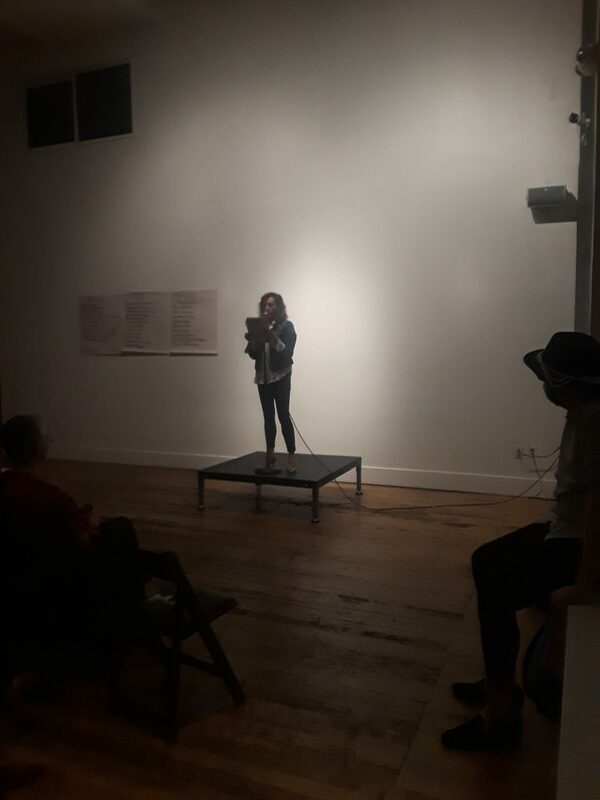 Felicity Fenton read new work at The Cleaners on the last night in a northwest small press marathon reading. Oooh. 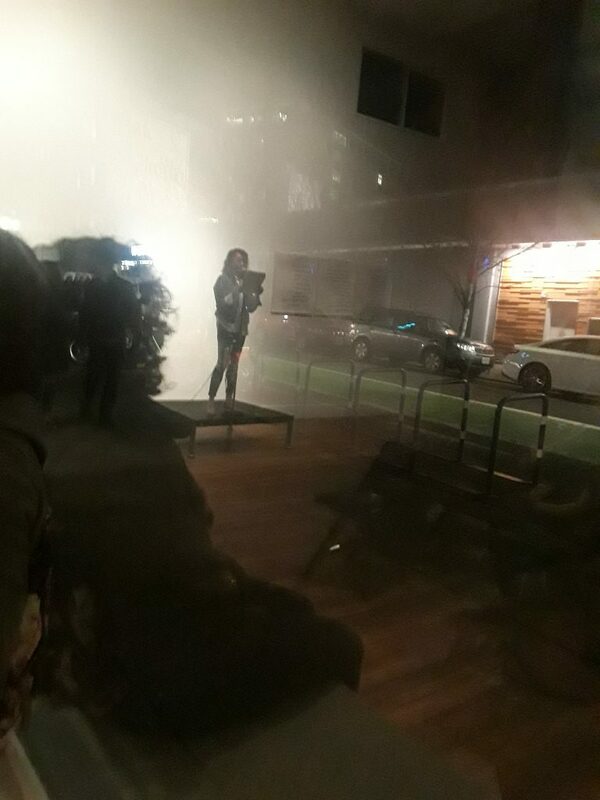 Here’s Felicity’s reflection in the window, making it look like she’s reading in the street outside. 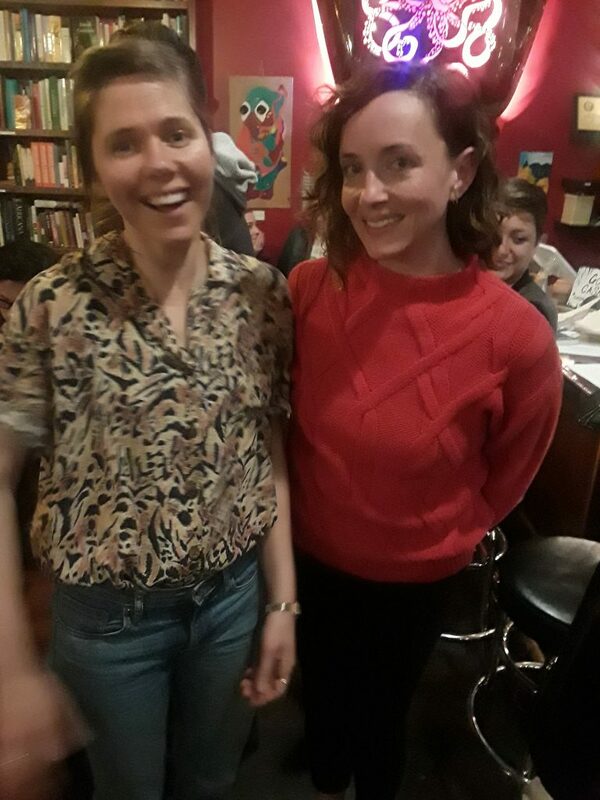 Ended the whole shindig on Saturday night at Beech Street Parlor with amazing writer friends, Kara Vernor and David Drury. And the fantastic wallpaper.